EVE Vegas 2018 SHIP BALANCE PANEL showed off four new Triglavian ships and made it clear they would be coming this winter. The Drekavac Battlecruiser, and Kikimora Destroyer will be available on with the expansion Onslaught November 13th Release. The new Precursor Logistics Cruisers Zarmazd and Rodiva (the Tech 2 version) will come one month later in the December update. Blueprints for the new Triglavian ships will drop in Abyssal Deadspace from all difficulty tiers and all pocket types. The Kikimora, a Triglavian destroyer class hull designed by the Collective for patrolling abyssal deadspace and engaging in fast attack hit and run operations. Capsuleers will be able to get their hands on this hull for the first time, giving access to a fast, light destroyer hull that excels at dictating the range of an engagement and dishing out damage. Note that the Precursor Destroyer level bonus has been been increase by 2.5 times compared to the announced stats at EVE Vegas, the first Non-Empire Tech 2 ship. The Drekavac, a Triglavian battlecruiser class hull, the first to sport a defensive bonuses. Designed as an in-your-face brawler with armor resistance bonuses, the Collective hull favors an all out combat over speed and agility, adding new tactical options for pilots looking to specialize in precursor vessels. PVP and Co-op options of Abyssal Deadspace will be available to explorers on November 13th. 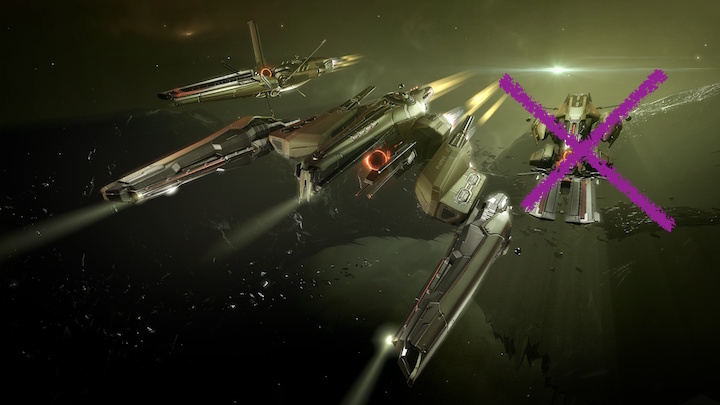 EVE Online: Onslaught will expand solo Abyssal Deadspace runs. Pilots should keep a look out for ‘Triglavian Proving Conduits,’ which will provide a connection to a ‘Triglavian Cladistic Cache.’ This Cache will be locked by a ring of Triglavian Towers and require capsuleers to disrupt they protection and collect the loot. These ‘Triglavian Proving Conduits’ only have a chance to spawn in Cruiser tier 3, 4 and 5 pockets. A final catch, you will have to fight another pilot for the loot, should neither ship be destroyed in 30 minutes, both ships are. “Players will not be matched or rewarded based on the difficulty tier or pocket type they came from. Instead, the Cladistic Cache will always have tier 5 rewards, with special favor given to the new weapon upgrade mutaplasmids. This feature is our first dip in the water when it comes to Abyssal PVP,” writes the EVE DEV TEAM. * The new mutaplasmids can be found in any type of abyssal pocket, Cladistic Caches in the new PVP pockets will have the highest chance by far. Pilots looking to explore the Abyss with two of your fellow capsuleers will now have that option. We covered this in greater detail in CCP “Triples” Down. The exciting new co-op Abyssal Deadspace PvE feature, providing fresh new gameplay and access to the formidable Triglavian race and their technology. As a way to reduce the cost of the Precursor ships, CCP is introducing Triglavian Extractors. Harvesting platforms that will appear all over Abyssal Deadspace during runs through any type of pocket. If you can spare the time, destroy and loot them to find Crystalline Isogen-10, Zero-point Condensate, and Triglavian Survey Data. We hope that these new structures will add an exciting new objective for fast Abyssal Deadspace pilots, while increasing the material supply enough to bring Triglavian ship prices down so more of you can use them. We heard that CCP say, on top of Zarmazd’s 3D model was not complete at the time of the presentation, neither Zarmazd nor Rodiva the Precursor Cruisers stats were ready to talk about. However, a month later, we are told that half the ships will require at least another month for them to drop. One wonders if this delay is to allow the Triglavian Extractors to have an effect on the market before even more demand is placed on it by the material requirement for a Tech 2 Precursor ship. Hi, I do believe this is an excellent web site. I stumbledupon it 😉 I may come back once again since i have bookmarked it. Money and freedom is the greatest way to change, may you be rich and continue to help others. Hello! I could have sworn I’ve been to this blog before but after browsing through many of the articles I realized it’s new to me. Anyways, I’m certainly delighted I stumbled upon it and I’ll be bookmarking it and checking back often! rAGOPh Thank you for your article.Really looking forward to read more. Want more. 8gZlTx Woh I love your content , bookmarked !.